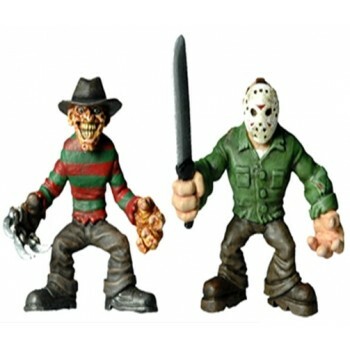 Cinema of Fear Tiny Terrors:Horror icons that fit in your pocket! These Tiny Terrors will send fun-filled chills down your spine! These chunky 2" tall mini versions of Freddy Krueger and Jason Voorhees are ready to jump out of the shadows and into your toy chest. Figures feature articulated parts and are packaged individually.